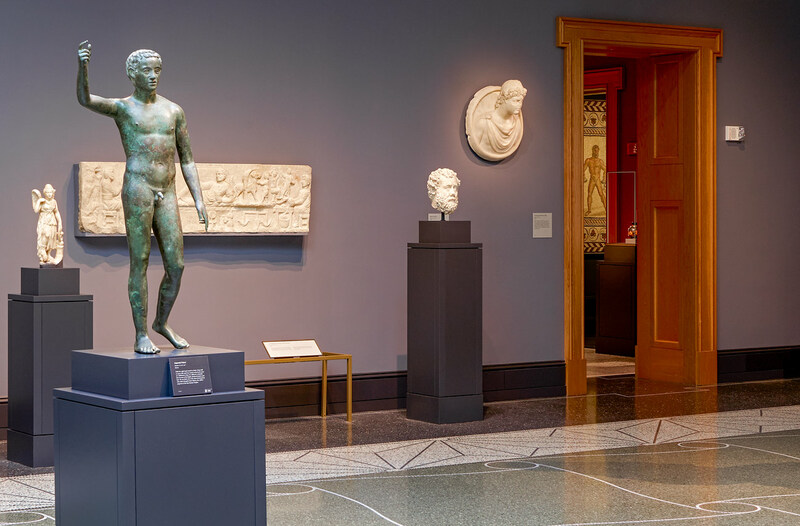 One of the more surprising objects in the Getty Villa’s newly reinstalled gallery of later Roman sculpture is a marble bust of a youth leaning out of a circular frame, mounted high on the gallery wall. J. Paul Getty originally acquired this particular sculpture in 1973, but it has been off view for many years. 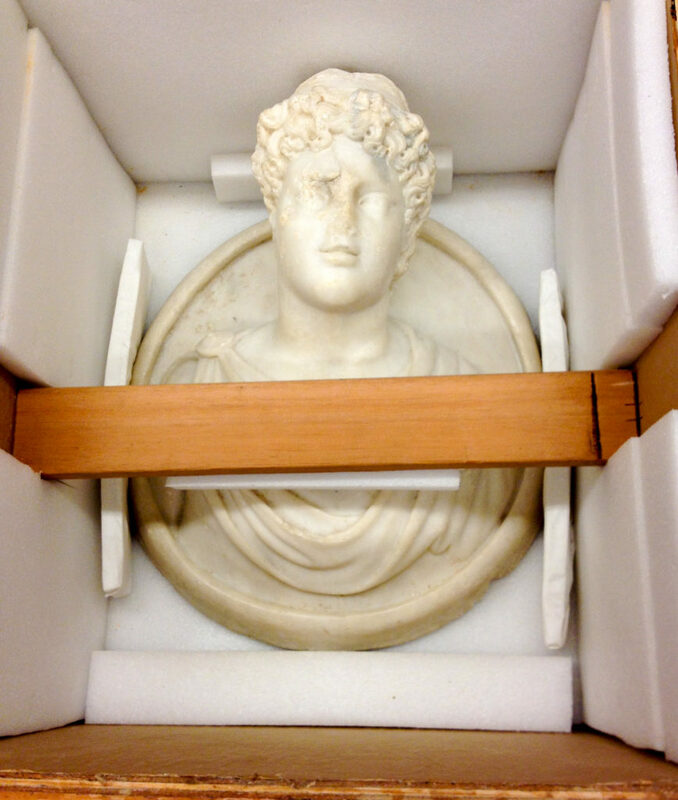 The recent reinstallation of the Getty Museum’s antiquities collection at the Villa provided the opportunity to resurrect many such objects from storage and put them on display. Bringing this strange object back to the public eye enabled us to ask—and answer—several questions about it. Who—if anyone—does it represent? When was it carved? Where was it made, and how did it end up in Los Angeles? In preparation for its display, we researched and reinterpreted the object, exploring both its ancient function and modern history. In its new display, this object is fittingly surrounded by other examples of late Roman sculpture from the third and fourth centuries. 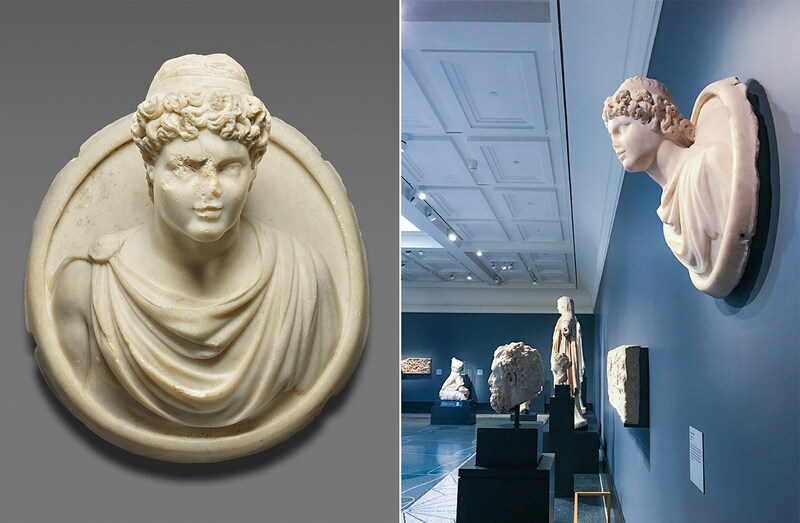 Its inclusion in this gallery was not always a given, however, as the figure was long misidentified as a portrait of young Caracalla, who at ten years old became joint emperor with his father in A.D. 198. (1) But recent scholarship questioned the Caracalla identification and the object’s date, suggesting it was carved at least a hundred years later. (2) In light of this research, curator Jens Daehner pushed to reexamine the sculpture and consider including it in the reinstallation. In early 2015, the Antiquities Department brought this tondo and many other potential objects for the new galleries out of storage for viewing, providing curators, conservators, mount makers, preps, and registrars a chance to approve and prepare artworks for possible display. 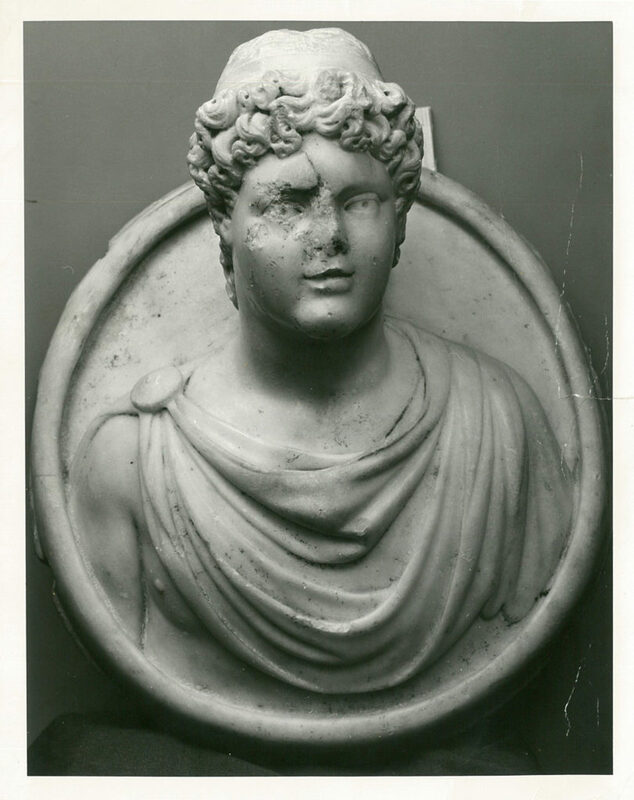 After the storage viewing and subsequent research, we updated the object record to conform with what scholars had suggested: this is not a second-century portrait of Caracalla but a fourth-century bust of a youth or divinity. To answer our next question of who the tondo represents, we then had to take a closer look at the curious origin and function of this sculpture type. Our go-to source for all things ancient, Pliny the Elder (1st century AD) tells us that Rome’s first shield portraits were set up in temples by victorious generals and depicted their ancestors. (4) Over time this portrait type made its way into the private sphere, both in the entry halls of wealthy homes and in the decoration of family tombs. In a funerary context, the heroic associations of shield portraits made them a popular way to honor the deceased on sarcophagi and tomb monuments. Beyond representing specific family members, the portrait type was also used for deities, emperors, and famous intellectuals. The late second-century Roman Villa of Chiragan near Toulouse in southern France had a rich sculpture collection that included a series of tondos with busts of gods and mythological figures such as Juno, Minerva, Mithras, Vulcan, and Aesculapius. Looking beyond sculpture, imagines clipeatae occasionally appear in ancient Roman wall paintings. 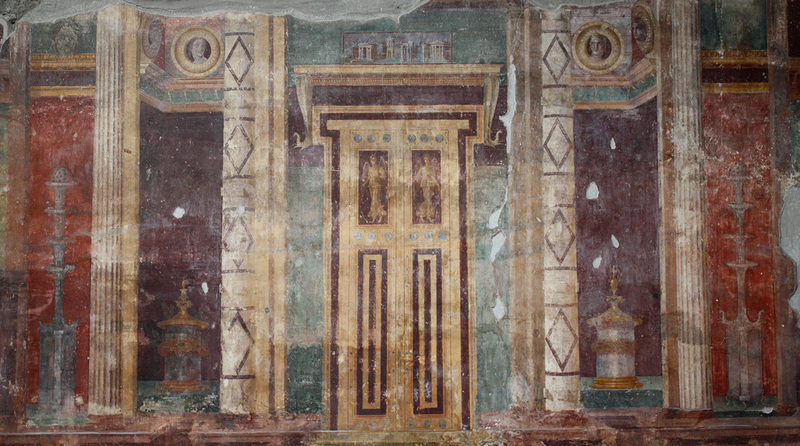 The Villa of Poppaea in Oplontis has several examples—a wall in the atrium is decorated with an elaborate false doorway framed by painted gold shields with lifelike busts. This wall painting gives a wonderful sense of how these objects may have been displayed. These examples speak to the popularity of shield portraits in various contexts and across media as a way for homeowners to advertise their learning and status. Given the range of historical and mythological figures depicted on medallion busts, who might the Getty tondo represent? Based on his generic garment known as a chlamys, a short cloak fastened at one shoulder, lack of identifying attributes, and overall style, he is likely a young hero or genius (a guardian spirit). A close parallel is a tondo in Hamburg that also represents a youthful divinity. The 1899 sale is similar; of more than 600 lots, only 10, including the Getty tondo, were “Found in Rome.” The catalogue does specify if an object was “possibly” found in a certain location: for example, lot 509 includes the note, “probably found in the excavations at Olympia.” Hoffmann was a careful collector, and although it is not possible to verify, it seems likely that the Getty tondo was found in Rome sometime in the nineteenth century. What happened next? This is where the wonderful world of annotated catalogues comes to our aid. 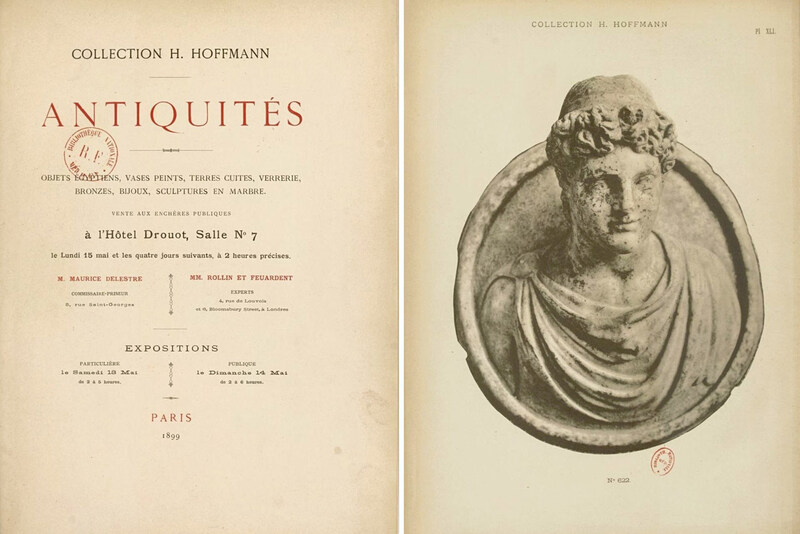 In addition to the large fully illustrated catalogue published for the 1899 sale, the auction house released a smaller, cheaper Catalogue Sommaire (summary catalogue) for quick reference. People would bring these small books to the sale, and sometimes they would write notes with final hammer prices and names of buyers. The Villa’s earliest documentation for the tondo is the invoice Koutoulakis sent to Mr. Getty at Sutton Place, his residence in England, on June 2, 1973. 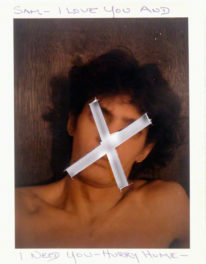 Getty approved the purchase with his signature, “OK JPG.” The Koutoulakis invoice does not mention the Hoffmann collection provenance, which was discovered soon after it arrived at the museum. By 1976, two years after the Getty Villa opened to the public, the medallion of “young Caracalla” was on view in what was then called the Mosaic Gallery (now Gallery 109). At some point before 1994, it was removed from display and moved to storage. The reinstallation therefore marks the first time the tondo has been on view in over 20 years. Gallery 207 of the Getty Villa. 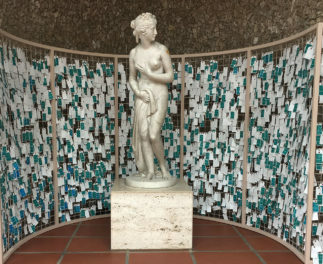 On your next visit to the newly reinstalled Getty Villa, head up to the second floor and say hello to the youth in a circular frame (Gallery 207). His recent journey from the depths of storage to high on the gallery wall, where he quite fittingly frames a doorway, is now part of his much longer history connected to the Paris art market, nineteenth-century collecting, and the display of shield portraits in antiquity. He is a wonderful example of how one object can tell several stories, as well as a reminder that behind every gallery label there is always more to discover. 1. Early Getty Museum guidebooks from 1976 and 1978 identify the youth as Caracalla, as does the publication Roman Portraits in the Getty Museum (1981). But the guides concede, “The features do not correspond to the well-established sequence of his iconography.” See the object’s online catalogue record for a full bibliography. 2. Marianne Bergmann, Chiragan, Aphrodisias, Konstantinopel: Zur mythologischen Skulptur der Spätantike, Palilia 7 (Reichert: Wiesbaden, 1999), 45, 47, 51, 57, pls. 34–35. 3. For a great summary of imagines clipeatae, see Jane Fejfer, Roman Portraits in Context (Berlin: Walter de Gruyeter, 2008). 4. Pliny the Elder, Natural History 35, 3–14. 5. For a discussion of the Aphrodisias tondi and parallels, see R. R. R. Smith, “Late Roman Philosopher Portraits from Aphrodisias,” The Journal of Roman Studies 80 (1990): 151. 6. At that time he almost certainly acquired a bronze statuette of Bacchus that, according to the Hoffmann auction catalogues (1886, lot 486; 1899, lot 565), was found in excavations in Rome on the Via del Babuino around 1880 during preliminary construction of the Anglican Church. It is now in the collection of the Petit Palais in Paris. 7. Wilhelm Froehner’s introductions to the 1888 and 1899 sale catalogues describe the origins and evolution of Hoffmann’s collection. 8. Coincidentally, the J. Paul Getty Museum acquired another object from that sale in 2007. It is now on view in the new Roman Treasury Gallery (Gallery 216, 2007.14). 9. Accessed on Art Sales Catalogues Online, Lugt number 57247. According to the annotations, which are not complete, “Forrer” bought at least seven other objects at the sale (lots 418, 452, 453, 464, 467, 519, 616). 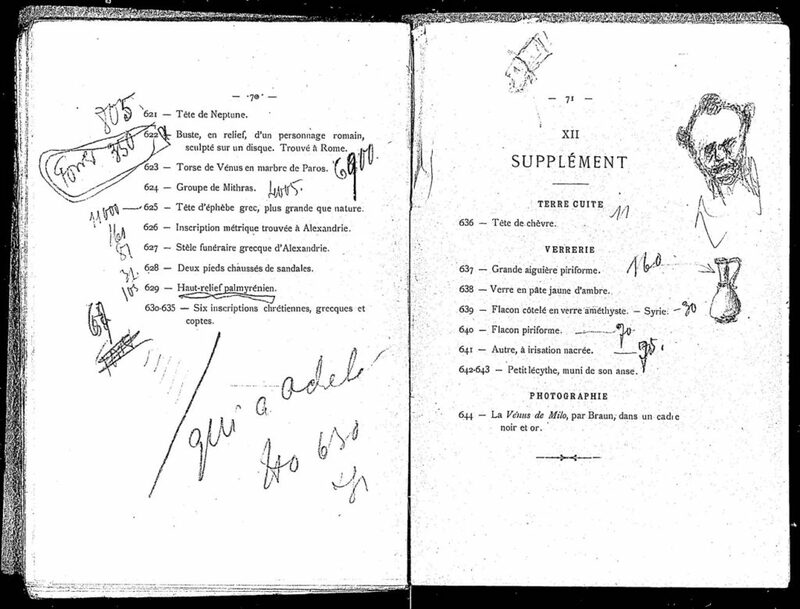 The sale price is confirmed by another catalogue in the Bibliothèque nationale de France. 10. “Forrer” may be the Swiss archaeologist and collector Robert Forrer (1866–1947, Strasbourg), who sold and donated objects—mostly from the medieval period—to museums. It could also be the coin dealer Leonard Forrer (1869–1953), who worked for Spink & Son in London and frequented auctions in Paris. Perhaps tracking down the later history of Forrer’s other purchases from the Hoffmann sale (such as lot 519, a bronze situla) would help clarify his identity. I’m a curatorial assistant in the Department of Antiquities at the Getty Villa. I have contributed to the Getty’s Roman Mosaics catalogue and continue to update records for the online collection pages. My research interests include domestic décor, reception of Roman art in the provinces, and antiquities provenance.